Sixto Rivera was born in Honduras and grew up in El Salvador. He moved to the United States, was taught the good news of Jesus and was “born again” in Houston, Texas, in 1982. His passion for reaching the lost began then and has never stopped. He has resided in the United States since that time. Sixto graduated in 1989 from Harding School of Biblical Studies in Searcy, Arkansas. He then moved back to Texas and attended Dallas Christian College and studied Ministry and Leadership. That is when he began his journey answering the call to reach the growing Hispanic population with the good news of Jesus and began planting churches. 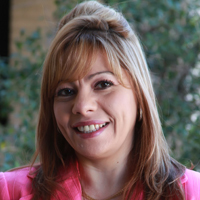 While planting a church in Garland, Texas, in the years 2000 to 2003, he began to understand the need to equip others to plant Latino churches that multiply. The answer to this need began in 2007, when Genesis Alliance was born and began to grow.  The dream of equipping more leaders and planting more Latino churches became a reality, and today more than 35 churches have been planted in nine different countries. More leaders are being trained and equipped continually, and they in turn are training other leaders. Sixto has continued seeking further education, constantly reading and studying to keep his knowledge and God’s work on the cutting edge of current practices. 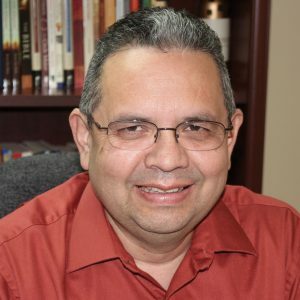 With years of education and experience, Sixto Rivera is one of the top leaders in the area of Hispanic culture, church planting and leadership development. Sixto has a servant heart, a passion for the lost, and experience in church planting and leadership development. He is a disciple of our Lord and Savior, Jesus Christ.